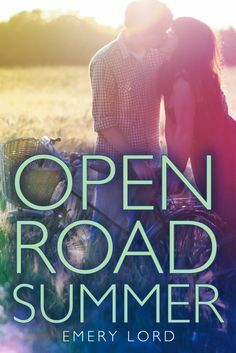 Open Road Summer should be one of the first books you pick up this summer! The first thing that stands out about this book is the characters. They were AMAZING. More often than not one of the supporting characters really gets on my nerves and this did not happen in this book. I loved Lilah, she was the perfect best friend, and I loved Matt, the perfect love interest. But the one character that stood out the most was the main character, Reagan. She was real and believable and I connected with her on so many levels. I love road trip books. I was hoping there would be more of a road trip focus to the book then there was. You did not get a lot of the travel experience which bummed me out a bit. But the author did label each chapter with the city they were in and you did get a nice vibe of the different states they traveled through. The thing I probably admired the most about this book was that it was a great romantic contemporary you could read at a nice sunny beach day but at the same time there was a serious aspect to it. Emery Lord was able to balance the two aspects to make a winning combination. You get all the great romantic aspects and funny scenes between boy and girl and best friends. You also got scenes about life struggles though. You get to see Lilah dealing with fame and how she struggles to keep her reputation in tact when the media is trying to bring her down. You also get to learn about Reagan's home life that she is running away from. You do get to see these two characters learn more about themselves and reach their own resolutions in the end which I loved. Open Road Summer is a must read book this summer for any girl. The author has created stand out characters, a fun yet thought provoking plot, and a great summer experience.